Need more information about booking Home 8797362 ? Breathtaking views of the Atlantic Ocean Beautiful apartment situated in a secure luxury residence (video surveillance, security 24h / 24), with a parking space in the basement available to the tenant. The apartment consists of a traditional Moroccan living room, a bedroom and a bedroom with two single beds. The decor is neat in oriental and modern style. Near the apartment there are local markets, shops, pharmacy, banks, cafes and restaurants. Tourist points: * The artisan district of Endowments which offers one of the most picturesque faces of Casablanca. It is located in the southern part of the city, close to the Royal Palace (20 minutes by taxi). 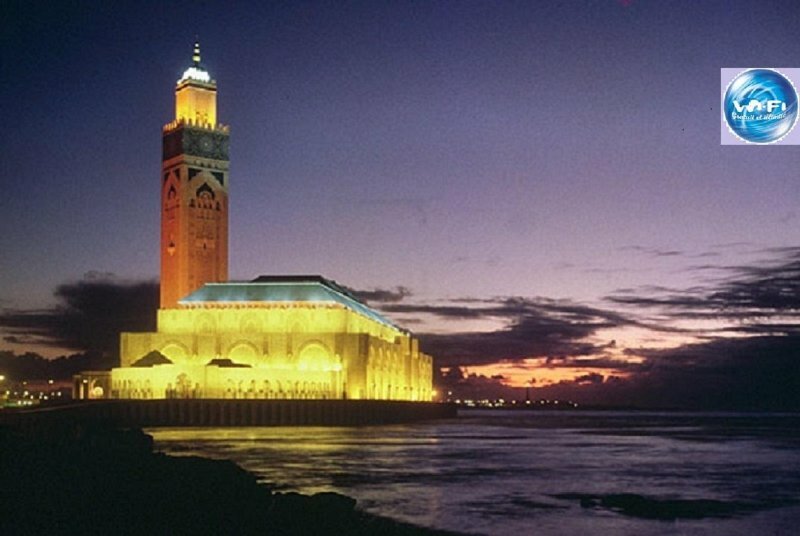 * The Great Mosque Hassan 2, built on the seafront, is a masterpiece of Arab-Muslim architecture (5 minutes walk). * The sandy beaches and pools are 10 minutes by taxi. Thank you for your visit and look forward to welcoming you to stay in the sun in an authentic setting. Interaction with travelers Great availability by mail or telephone (in France), sometimes on site in Casablanca. You can get in touch with Fatima (the owner) through the contact form on this page. Send Fatima (the owner) an email through the contact form on this page. Alternatively, if there’s a phone number on this page, you can call them. How do I contact Fatima (the owner)? If you’ve already booked, go to Manage your holiday booking to view Fatima the owner's contact details or send them a message. Or send Fatima (the owner) an enquiry through the Contact the owner/manager form if you’d like a quote or more info first. When you pay online through the Book your stay form, a booking request is sent to Fatima (the owner). You’ll find out within 24 hours whether they’ve accepted - no money will leave your account before then. You can also request a quote from Fatima (the owner) through the contact form. The owner will email you the total cost for your dates and a link to book and pay online. Use the Book your stay form to pay provisionally online. You can pay by credit/debit card or PayPal. Fatima (the owner) will have 24 hours to accept the booking and no money will leave your account before then. Why can't I call Fatima (the owner) before booking? You’ll need to contact Fatima (the owner) to do this. Send them a message in Manage your holiday booking or through the contact form on this page. You can request to change the dates or number of people on your booking via the Manage your holiday booking page. To change your holiday dates use the Edit booking button. If you need to change the number of guests staying then send Fatima (the owner) a message. If Fatima (the owner) agrees, they’ll send you a revised quote outlining the changes. You can review and accept/decline this from the Manage your holiday booking page. You’ll have 48 hours to take action before the revised quote expires.